Image by LaRosaWorks (Sicily travel and tourism). 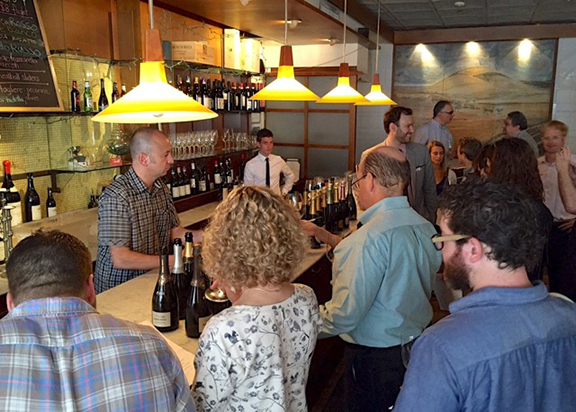 Thank you to everyone who came out to taste with me yesterday at I Trulli in Manhattan! It was wonderful to see so many friends, old and new, and to pour an extraordinary flight of Franciacorta (16 different labels in total; see the list of wines below). And thank you to owner Nicola Marzovilla and the staff at I Trulli: What an awesome feeling to arrive at the restaurant to find the wines already chilled and ready to go! The seamless and super pro service really made my job a breeze. We’ll be tasting a similar flight of wines next week in California: San Francisco, July 15; Los Angeles, July 17; San Diego, July 18. Click here for details for next week’s tastings.